All residents in Louisiana are required to be covered by car insurance. Those found driving without insurance are not only subjected to penalties and fines, but they are also not permitted to make insurance claims regardless of who is guilty in the accident. 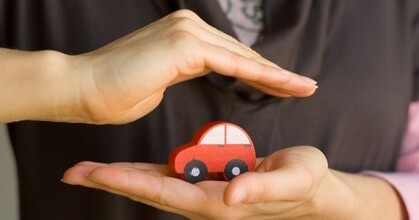 Read and learn more about Louisiana car insurance laws, rates, programs and discounts. Assisting consumers with complaints and concerns. If you have a dispute or an unresolved concern with your car insurance provider, you must file your complaint through an online form or request a form by phone. NOTE: Your auto insurance company will not cancel your policy or raise your rates for filing a complaint. Remember that for greater protection, you can always opt to purchase higher coverage limits. Copy of your policy declaration page. Collision – Covers accident-related damages to your car. Comprehensive – Covers non-collision related damages to your car, i.e., those resulting from theft or vandalism. Underinsured/ Uninsured motorist (UIM) – Pays for your own injuries or damages to property when you’re involved in a car accident driven by a driver whose insurance is insufficient to cover your costs or simply an uninsured driver. If there’s been a lapse in your policy. If stopped by a police officer, you must produce proof of insurance. Image of your insurance card on a mobile device. After 60 days – for not paying your insurance premium, making a false claim or for vehicle registration suspension. No later than 20 days – if they aren’t renewing your policy. Pay a fine in the margins of $100 on your first offense, and a fine of $250 on a second offense. For Subsequent offenses, you can pay fines up to $700. Driving without having paid fee for uninsured motor vehicle. You will have to pay a $60 fee to the OMV If you allow your SR-22 to lapse. The SR-22 certification also requires your driver’s license reinstated if it’s been suspended. The first $25,000 of a property damage claim. NOTE: If you happen to be a passenger in a driven car by an uninsured driver and get injured, you stand to collect money for damages. You can report suspected insurance fraud at (800) 259-5300. If you prefer, you can keep your name confidential. Defensive driver course (Available to drivers 55 years old and older).